Special Bundle – Includes a BONUS BOTTLE of Antioxidant Complex – A $41 Value! 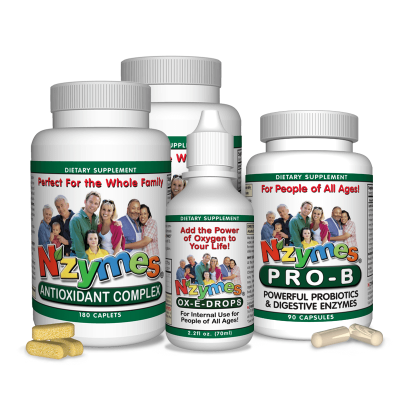 The NZYMES® 3-Pak Kit for People is a special bundle of 3 products meant to address 3 key areas of human health: Antioxidant Support, Anti-microbial Support, & Digestive Support. These powerful, nutritional elements can help the body restore, repair, rebuild, digest and overcome a variety of typical health conditions. Don’t you deserve to feel your best every day? Using this 3-Pak system daily may be the best way to boost your natural defenses & stay healthy, strong and energetic. See more below..
And now, this special bundle includes a FREE bottle of our Antioxidant Complex! There are NO LIMITS on this offer. you will receive a FREE bottle of the Complex with each kit purchased. Antioxidant Complex for People is our powerful 'live nutrition' supplement which can fuel the production of a series of the body's own Antioxidant enzymes - providing a plethora of health benefits. Pro-B provides, in a single daily capsule, the support needed to support and maintain proper microbial balance of the digestive tract. 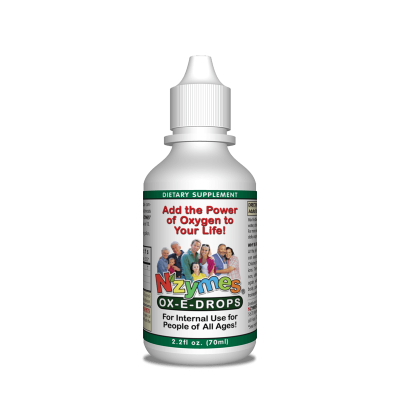 The Ox-E-Drops, as used daily with water, tea, etc, provides significant immune support against a variety of microbial invaders...and more. This 'Complimentary' bottle of the Complex is provided as a bonus to our patrons upon purchase of this Kit. Earn up to 465 Loyalty Points. 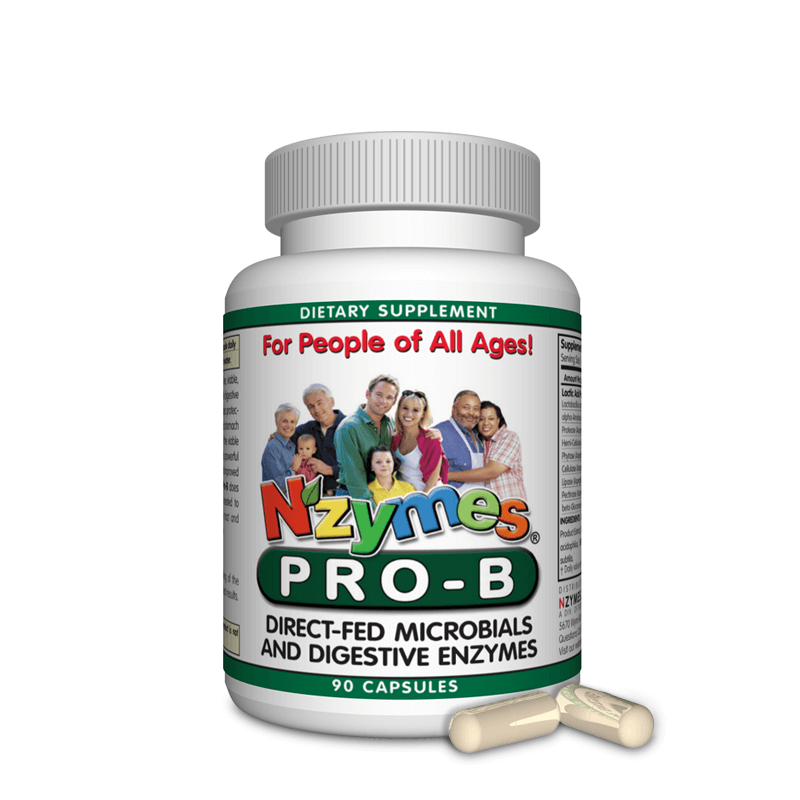 The NZYMES® 3-Pak Kit for People is a collection of products recommended in order to help the body deal-with or correct a variety of challenging ‘digestive disorder’ related issues. Yeast infection is one of those more complex disorders, and is an ‘imbalance’ of intestinal Flora caused by destroyed or declining levels of the Friendly Bacteria elements that to several things: 1) maintain a health digestive tract; 2) keep yeast candida elements ‘under control’; 3) keep the immune system healthy and properly functioning [a healthy bacteria proliferation can account for 70% of immune function]. Better Nourishment Means a Better You! The NZYMES® 3-Pak Kit for People is designed to help maximize your health by addressing 3 fundamental areas. Antioxidant Support – The ‘Live Food” nutrition found in the Antioxidant Complex enhance your body’s ability to produce Antioxidant Enzymes in greater abundance. The enzymes Superoxide Dismutase, Catalase, and Glutathione Peroxidase are at the leading edge of cellular health. When the cells are better able to perform their functions, better health naturally follows. 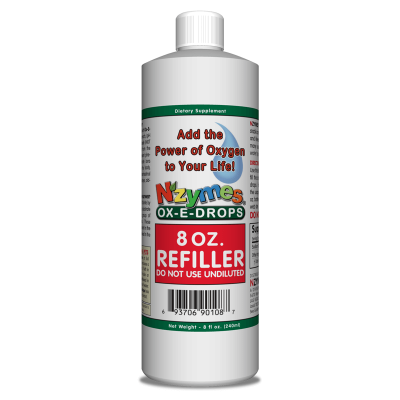 Better pH Balance – Ox-E-Drops are alkaline, with a pH of 13, and have the effect of elevating the pH in the body. 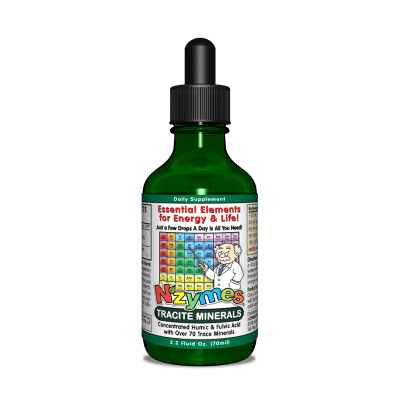 This is ideal for optimal health as nearly all diseases will flourish in an acidic environment. Elevating the pH also has an effect of oxygenating the body, creating a less hospitable environment for opportunistic organisms. Digestive Support – Pro-B enhances digestion in a two-fold manner. First, it carries Digestive Enzymes to help break-down and absorb nutrients from a variety of foods that are consumed. 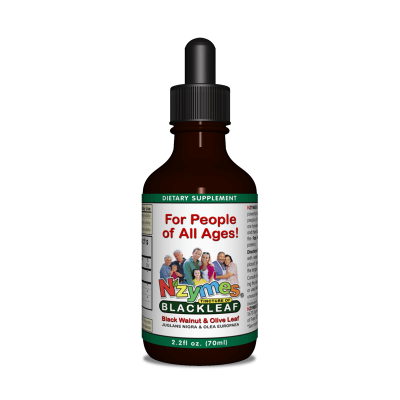 Secondly, it delivers Probiotics to help maintain good populations of bacterial flora. Pro-B is ‘micro-encapsulated’ to insure greater survivability through the harsh environment of the stomach. This is key, since delivery to the GI tract is absolutely essential. Your intestinal tract is the centerpiece of a healthy you. Keeping it well is everything. Many typical conditions or ailments can be challenging to resolve – such as digestive problems, unresolved skin problems, or mild Yeast Infection problems (Yeast Candida overgrowth). With such a challenge to deal with, resolution is best sought by addressing the problem from the various different directions. This is the most efficient way to help someone, via these ‘nutritional assistance’ methods, on the path to wellness. Each product of a 3-Pak Kit for People contributes in its own way to the process of restoring wellness.